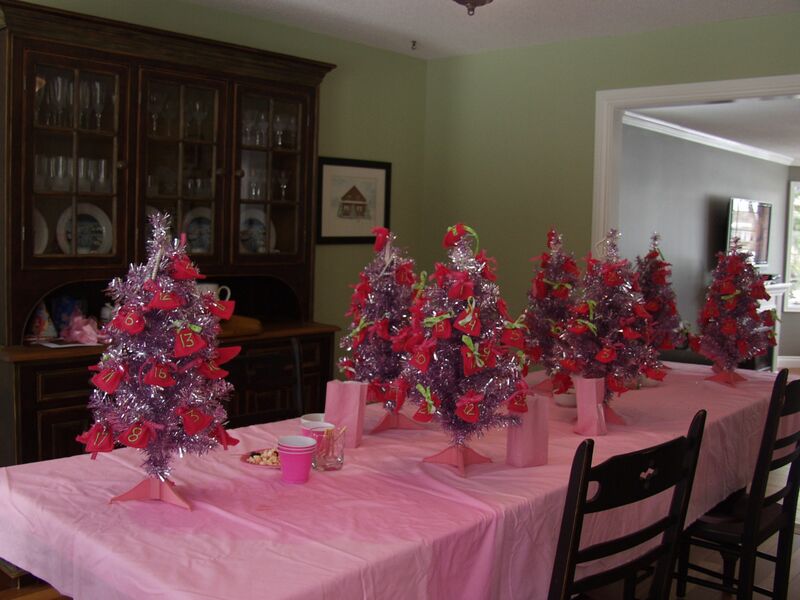 Four years ago, on my oldest daughters fifth birthday, she had a “pink” themed party. Since her birthday falls so close to Christmas it always seems that winter or Christmas get thrown into the theme as well. I had seen this idea in Martha Stewart about sewing little bags and hanging them on a small tree as an Advent Calendar. Clearly forgetting that I am not Martha Stewart, but rather a cheap knock off, I ran with it for all the kids at the party. 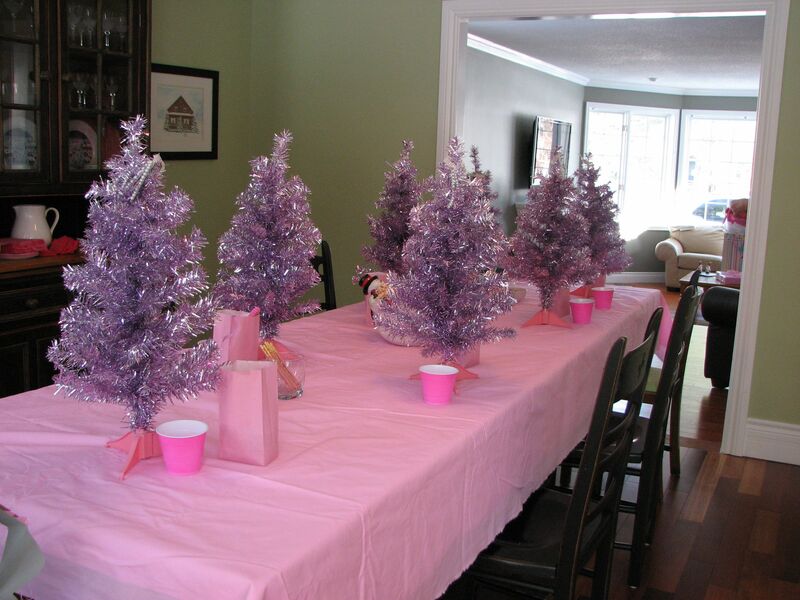 That particular year, I found pink Christmas trees at Walmart for $5 a tree. Not bad. The problem was that I wasn’t just making one Advent Tree but SEVEN and I had to sew 168 little felt bags, and string ribbon through each one. You should know that I am most definitely NOT a seamstress. It was a long, frustrating task for me. I cursed Martha’s name for 167 of them. ( I love you Martha, it was a weak moment). Once I had sewn each little bag, I used fabric paint to write the numbers 1 through 24 on each bag. 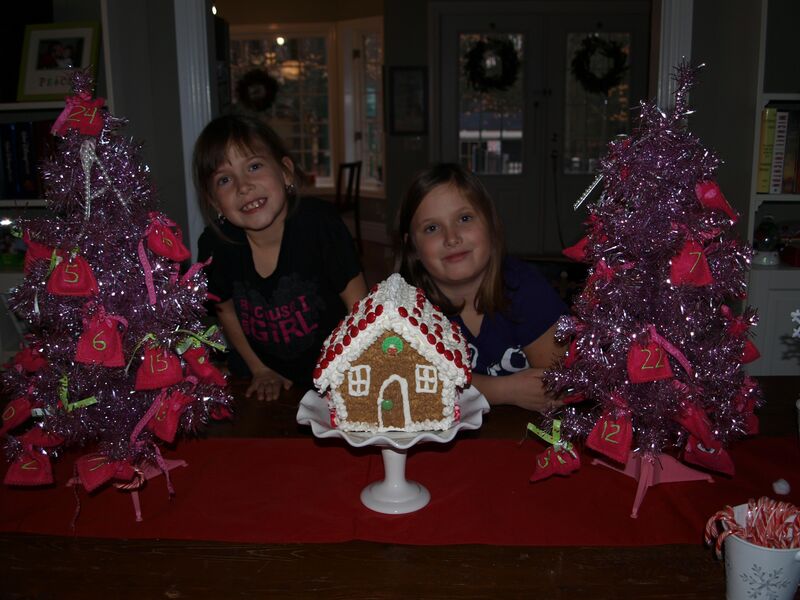 When the girls arrived, they got the fun part of stuffing each bag with a piece of candy and tying it to their tree. It was a success because (a) it kept them amused for a long time and (b) it covered the favour. The trees set up and ready to be decorated! The trees after the girls had stuffed the bags and hung them on the tree. What surprised me most about these trees is that four years later, my girls still use theirs. Last night they stuffed each bag with candy and hung the bags for Christmas. This morning they woke up and had a piece of candy before breakfast. What? It’s the Christmas season, after all. I can’t be a Grinch all year 😉 I love how a birthday favour has evolved into a Christmas tradition. Nice! And you only had to do it once and can enjoy it for years to come. Make it part of your daughter’s inheritance for all your trouble!